Growing in the knowledge and likeness of Jesus Christ our Lord and Saviour. 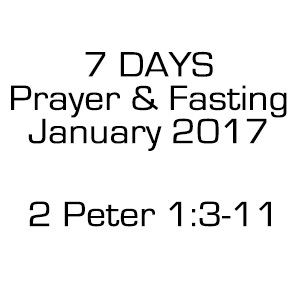 My beloved brothers and sisters in the Lord, we can make a powerful statement as a church fellowship in the spiritual realm, when we fill this church each evening during the primary week of 2017 and dedicate ourselves to the Lords will in prayer and in fasting. The passage of scripture which we shall be concentrating on, gives us a tremendous encouragement concerning the security and state of our salvation, especially if we are prepared to incorporate these principles into our lifestyle. give special attention to verses 5-7, but it’s important to take into consideration the immediate context, hence the encouragement to read from verse 3. My dear brothers and sisters, are you ready to move out and away from a position of comfort and start the New Year in the presence and will of the Lord? Do you believe that by praying and fasting together that the Lord will speak, that the Lord will bless us with His presence that the Lord will be near? My brethren, this is my very firm belief, I believe that transformation is coming. 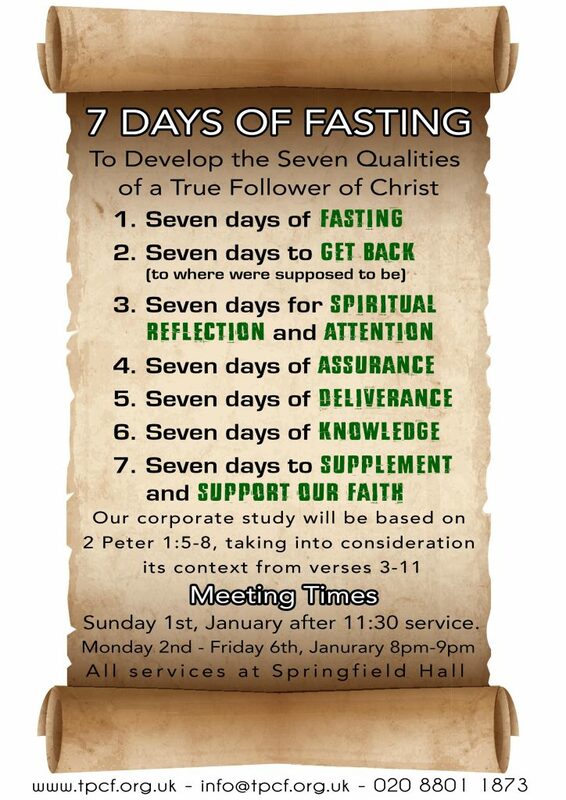 The Lord led us to focus on ‘Prayer’ in 2016; this year will be about ‘being the Lords witnesses’ (Acts 1:8). I hope that you are ready to make this sacrifice in Jesus name. Let us please come together in great numbers, let us shake off the spirit of complacency and lethargy and radically seek His kingdom in Jesus name. Click here to view the supporting guide for this 7-day period.